Aston Martin is a manufacturer of luxury sports cars, including the Aston Martin DBS, Aston Martin DB9, Aston Martin V8 Vantage and Aston Martin V8 Vantage Roadster. Autobytel has data on each used Aston Martin going back to 1999. Aston Martin was a Ford-owned Premier Automotive Group brand until it was sold to an investment consortium headed by racing magnate David Richards in March of 2007. The consortium includes Richards, two Kuwaiti investment companies, and Aston Martin collector John Sinders. The Aston Martin operations were sold for $848 million, with Ford retaining a $70 million minority interest. The company that would become Aston Martin was founded in 1913 by Lionel Martin and Robert Bamford as Bamford & Martin Limited. Unlike many other cars companies that got their start with aircraft, motorcycles, or bicycles, Bamford & Martin Limited was created to produce sports cars of "distinctive and individual character." The success of the the company's car at the Aston Hill Climb in 1914 spurred the company to change its name to Aston Martin, and in 1915 the first Aston Martin was registered. This motorsports heritage led to Aston Martin's first entry at Le Mans 24-hour race in 1928. After World War II, David Brown purchased Aston Martin Motors Limited and Lagonda. Under Brown's ownership, Aston Martin continued its racing involvement. Aston martin DB2 cars would dominate the 3-liter class at Le Mans in 1951, coming in 1st, 2nd, and 3rd. In 1964, a DB5 would appear as the car-of-choice for James Bond in Goldfinger. Aston Martin cars, including a DBS, V8 Vantage Volante, V12 Vanquish and a DBS V12 would provide transportation to Bond in a total of five films. In 1981, Victor Gauntlett and Pace Petroleum acquired Aston Martin, and was further backed by the Livanos shipping family in 1983. Shortly thereafter in 1987, Ford Motor Company acquired a 75% controlling interest in Aston Martin with an option to acquire the remaining 25% in 1994, which it did. Ford was relatively hands-off with the boutique Aston Martin brand, unlike former fellow Premier Automotive Group brand Jaguar. Jaguar was heavily influenced by Ford's manufacturing, quality and management styles. In 2007, Aston Martin was sold to a business consortium as a part of Ford's The Way Forward restructuring plan. 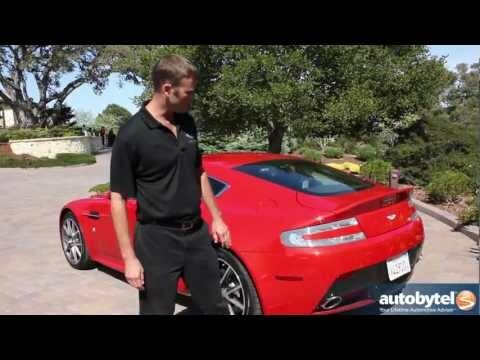 Check out some of our used Aston Martin luxury and sports cars for sale.